Find out the local market conditions for your neighborhood. Depending on your area, there may be better/worse times to sell. 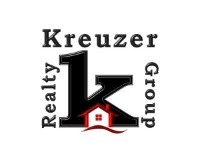 Utilize a full service real estate agent/brokerage. Depending on the broker you select, you will be able to get valuable service with marketing, open houses, disclosures, title/escrow, etc. Make sure that you understand exactly for what services you are willing to pay. Make sure you understand what services are covered under each pricing plan. Find out if your listing will be posted on the website, what signage will be available to you; find out if you are posting the home to the respective MLS (multiple listings service) in your area. Each broker is different, so make sure to get references from former clients. If you want to market your property to the largest pool of possible buyers, list your property with a full-service real estate broker/firm. Find out if they are a REALTOR® -- a member of the NATIONAL ASSOCIATION OF REALTORS, a trade organization of nearly 1 million members nationwide. Members of NAR subscribe to a stringent code of ethics to guarantee the highest level of service and integrity. You may also want to know if they have any special REALTOR® designations, such as GRI and CRS, which require that real estate professionals take additional specialized real estate training. In addition to qualifications, you should check references of the agent. Make sure to speak with former clients to see if the agent is responsive and is available to keep you up-to-date with progress. You need to have direct contact with your agent, so you will need to be as comfortable as possible. Detail a marketing plan for your house, including online and offline marketing. Prepare a Comparative Market Analysis (CMA) of properties in your area that have sold, as well as properties currently listed. Help you determine the best selling price for your house. 2) Clean up as much as possible. You may want to paint walls (neutral colors are best) or spruce up wallpaper. Replace old flooring and worn carpets. Check and repair damaged or unsightly caulking in the tubs and showers. If possible, hire a cleaning service. Display your best linens, towels, and shower curtains. Make up beds, and put fresh flower arrangements on the table. Make sure that there are no offensive odors in the house. Odor is the first thing buyers notice, and often a permanent turnoff. 3) Make your house their new home. 4) Don’t forget the outside! 5) Allow your agent to show your home.